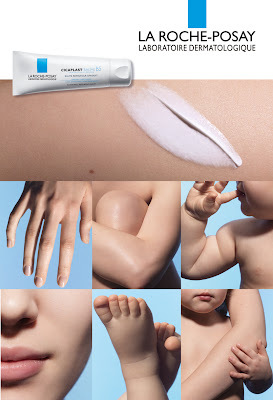 I mentioned yesterday a miraculous use I had discovered for this balm (It was burny balls (of the feet) and the relief was IMMENSE) but I wanted to share with you some of the intended miraculous uses so you'd understand why you'll probably be heading right out to pick up some Cicaplast Baume B5. I had the pleasure to be invited along to the launch last week in Trinity's Science Gallery and am not exaggerating when I say we were presented with some astounding claims regarding this product. 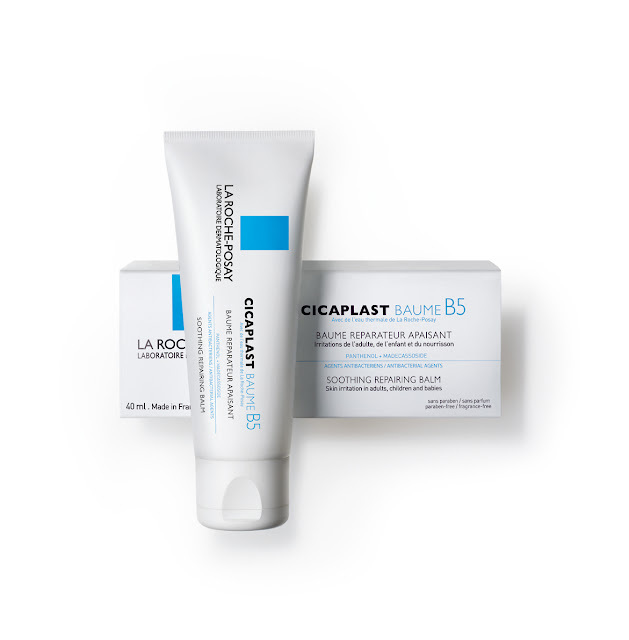 Cicaplast Baume B5 is billed as a soothing multi-repairing balm favors the recovery for sensitive skin after irritative dermatitis and epidermic alterations thanks to its formula associating Panthenol 5% with Madecassoside with a highly-cosmetic texture. Suitable for the entire family: babies, children and adults. Sounds good, right? Maybe a little too good BUT there were two medical professionals on hand to show us the results of their clinical trials and add some proof to the pudding. Dr Morrow held a trial with 27 patients with varying skin issues (eczema, dermatitis, psoriasis, side effects of medicines, such as Roaccutane i.e extremely dry lips). The trial took place over 7-20 days and resulted in 100% of patients reporting that their skin was 'either fully repaired or very much improved'. Her results showed that while there was immediate improvement in pain and dryness, the average time for 100% recovery was 7 - 10 days. Astonishing, no? Nurse Daly also held a trial with 35 patients in her paediatric clinic over 14 days. Cicaplast BB5 was used for issues such as childhood eczema, severe nappy rash and rashes on the babies' & toddlers' mouths and lips from excessive drooling and licking. Again just under 100% of patients reported significant improvement if not complete recovery within days. From what I've seen and experienced with my poor, tortured feet, Cicaplast Baume B5 is going to be huge. Priced at just €12.50 from selected chemists, I can see it being a handbag and nappybag staple for quite some time. I've already caught myself saying 'I've just the thing for that' several times so far. What say we? La loving La Roche? Oh how fabulous, it is always amazing when you find something that totally works for you! Bought this on Monday for my Mum she had terrible dry eczema type skin on her face around the hairline and this is working miracles. She is using it as a mask at night and as a primer under makeup, if she is going out. so this is a creamier version of the original cicaplast?